It’s not hard to tell when you’ve seen something special. After spending nearly 48 hours with the middle school and high school students of Aspen, CO, I am nothing but impressed. The high expectations, the great tools provided, and the community support from teachers, fellow classmates and parents, contributes to what is truly an amazing environment for learning and growing. The second Annual 48-hour ‘Round the World Challenge began at 4 pm on Friday departing from Liberia. 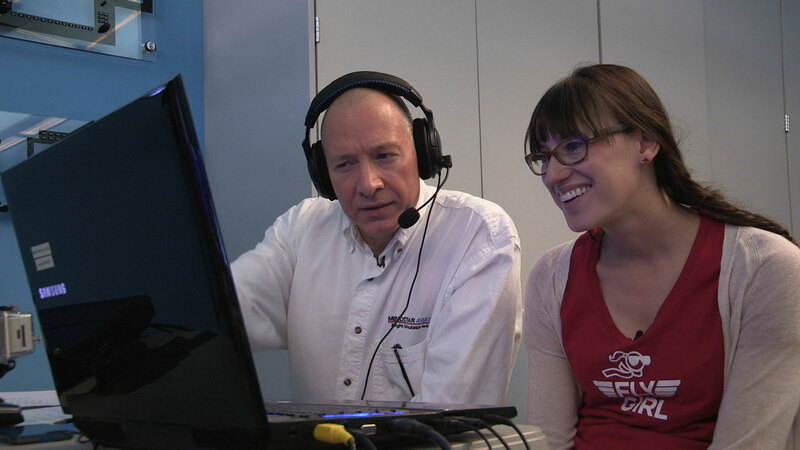 The students flew planned routes to their final destination of Key West, FL with 4 pm on Sunday as the final deadline. 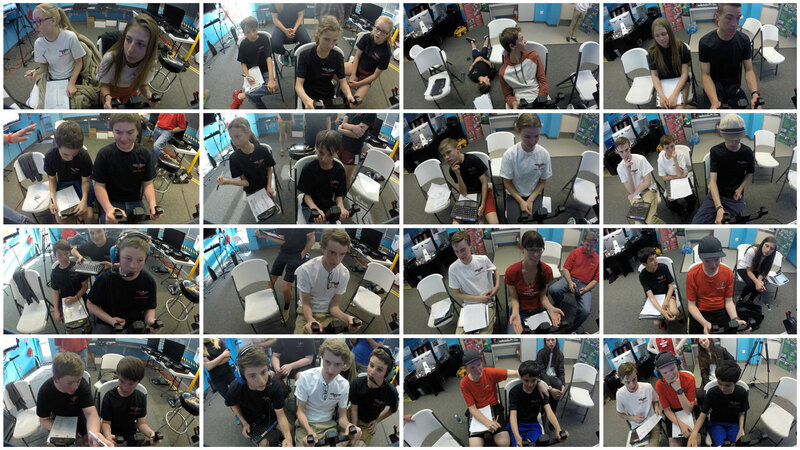 Two teams, Red versus Black, consisting of middle school and high school students raced against one another as they circumnavigated the globe on a Redbird Jay simulator. I was assigned to the Red Team and had three legs to fly with other crew members throughout the challenge. My first leg was with Emma, an 8th grader and Red Team assistant captain. Emma was great at explaining to me what altitude to fly, so that we’d get maximum fuel efficiency and be able to fly some longer legs. Every 30 minutes we would switch seats from the flying pilot to the non-flying pilot, who would work the flight management system and perform any other duties needed. It was a good lesson in teamwork and crew resource management. For the entire challenge, the students (and I) were not allowed to turn on the auto-pilot, unless you wanted to be faced with penalty points. My team had meticulously planned out their route and built a custom spreadsheet to calculate fuel burn and efficiency. It was a work of art and if followed properly, we were sure it would carry us to VICTORY! Students (literally) camped and slept in the hallways waiting for their turn to fly and waiting for the top-of-the-hour updates to find out which team was ahead and by how much. During the two days, I heard students coaching one another on how to talk to air traffic control, how to fly with a light touch to maintain consistency, and how to calculate your top of descent altitude for proper planning… things that many non-simulator flying pilots wouldn’t mind getting tips and advice on. It was such a neat feeling to be a part of it all. During my second shift flying, I was competing against a third grader on the Black Team, who I am told was better at holding a steady descent rate than me. The Aspen AEROspace Alliance is a non-profit organization created to offer unique, meaningful, and challenging aeronautical education for students of all ages in the Roaring Fork Valley of Colorado and beyond. 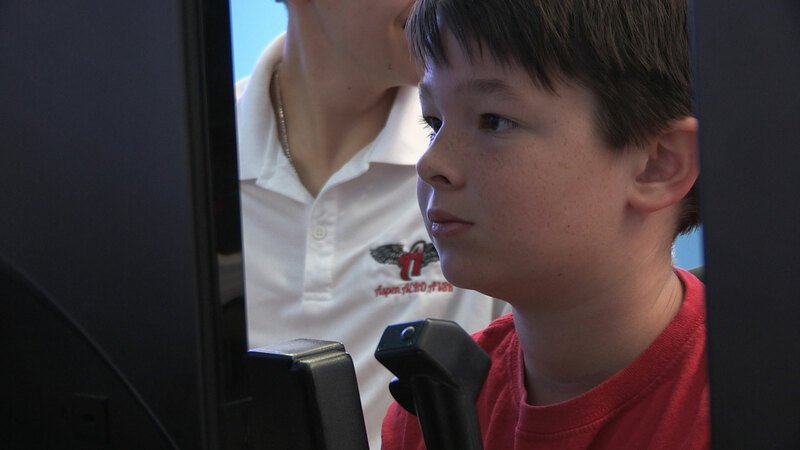 Using AEROspace and AEROnautics as a conduit to high-tech postsecondary education and careers, the K-12 Aspen AERO AV8R Program offers students a compelling and comprehensive educational experience. They create 21st Century learners by incorporating the elements of S.T.E.A.M (Science, Technology, Engineering, Art, and Mathematics) into their AEROnautics and AEROspace curriculum. 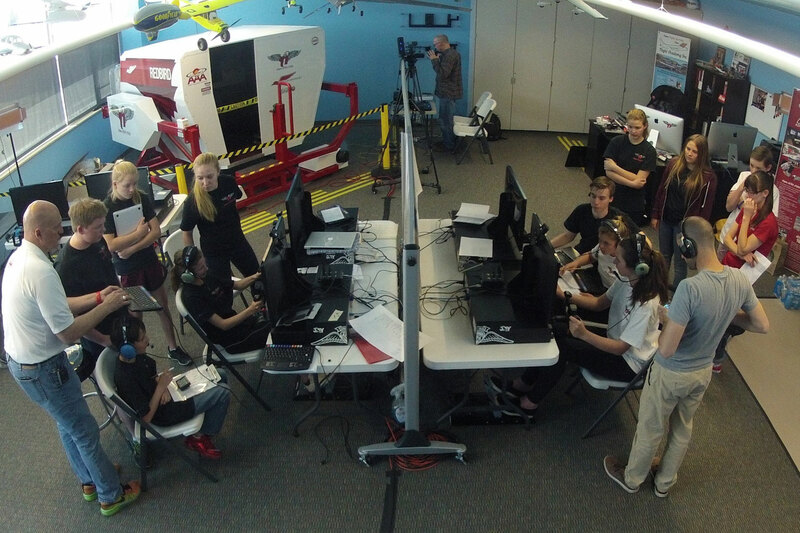 Every spring, Aspen AEROspace Alliance hosts a "Round-The-World Flight Challenge" competition to highlight the progress its students, known as AEROnauts, have made since they first began training at the beginning of the school year. 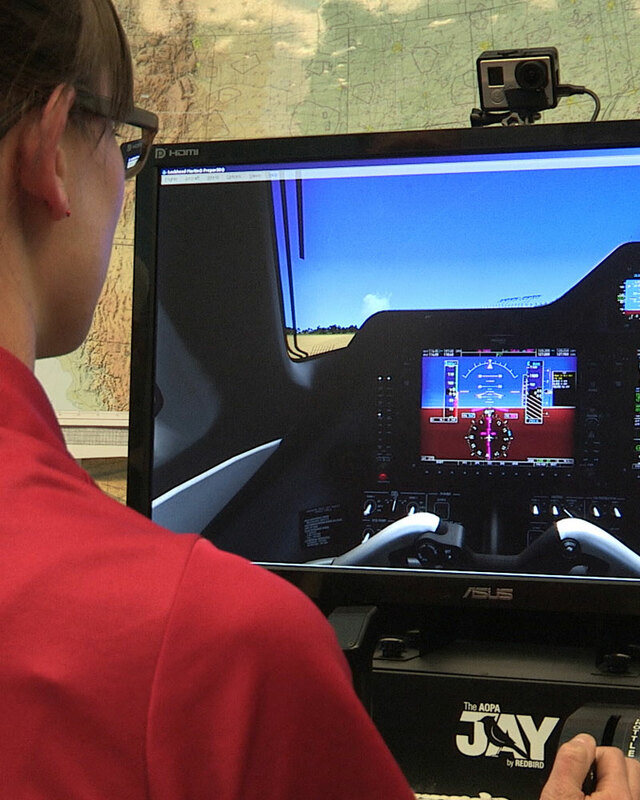 The competition is a real-time, real-world test of math, science, aeronautical skill, and know-how as two teams of AEROnauts use Redbird JAY desktop simulators to fly an Embraer Phenom 300 around the world. In the weeks leading up to this year’s challenge, each team of 12 students was tasked with planning a flight route from Liberia to Key West with required fuel stops in Africa, Singapore, Russia, and Reno, Nevada. Once the event started, the AEROnauts took shifts as they flew their aircraft around the world, in real-time and without the help of an autopilot, which took nearly 48 hours. Each team had a professional airline pilot advisor to offer guidance and a real world perspective, but the actual planning and execution of the flight was up to the students. The teams were subdivided into Flight Crews composed of a Captain and a First Officer. 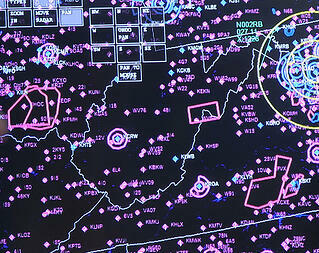 Each Flight Crew flew three shifts (called legs) of two hours each over the course of the weekend. During a leg the Flight Crew alternated "Pilot Flying" duties every 30 minutes, giving every student plenty of time behind the stick, as well as performing the other required cockpit duties. When not flying, the AEROnauts got a chance to rest, eat, sleep, and socialize. In practice, the students spent a lot of their time out of the cockpit discussing the status of their team's progress, making plans for the next leg, and practicing their flying skills on a Redbird JAY located outside of the competition room. The students clearly take this challenge very seriously and dedicated an impressive amount of time and effort to get an edge over the competition. 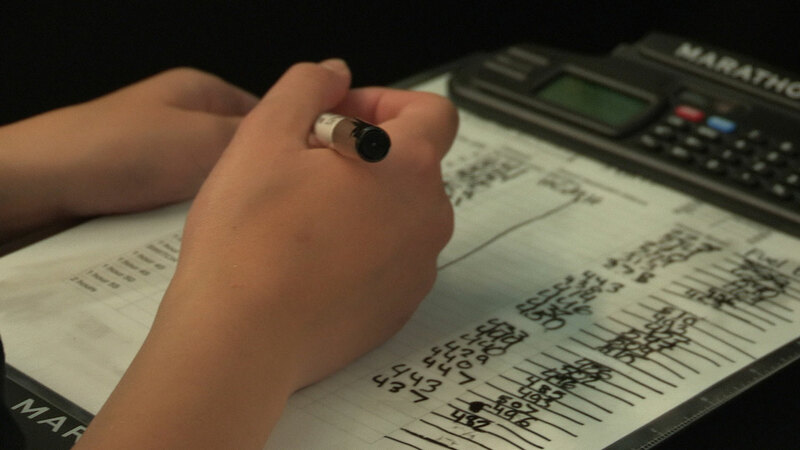 Each team used knowledge, strategy, and skill in a wide range of topics to give themselves the best chance of victory. In addition to basic route planning, the AEROnauts learned about and practiced altitude selection for best speed and range, climb and descent planning, Flight Management System operation, GPS navigation, airspace and Air Traffic Control procedures, enroute progress tracking and adjustments, and hand-flying skills. 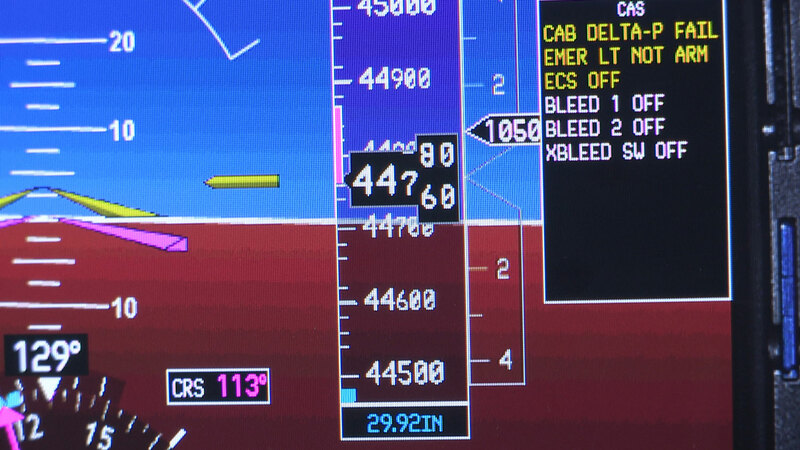 Essentially, each team ended up developing its own Standard Operating Procedure for a large international flight department that operates advanced jet aircraft ... from scratch. The result is a group of 12-to-18 year olds with a breadth of knowledge and experience that is typically reserved for professional pilots and aviation managers. Just like the real world, things rarely go to plan and the students were forced to make adjustments and deal with setbacks. In the end, it took a healthy dose of luck to win, but each team's skill and knowledge is what put them in a position to take advantage of opportunity when it was presented to them. This might be the most important lesson they learned all weekend. 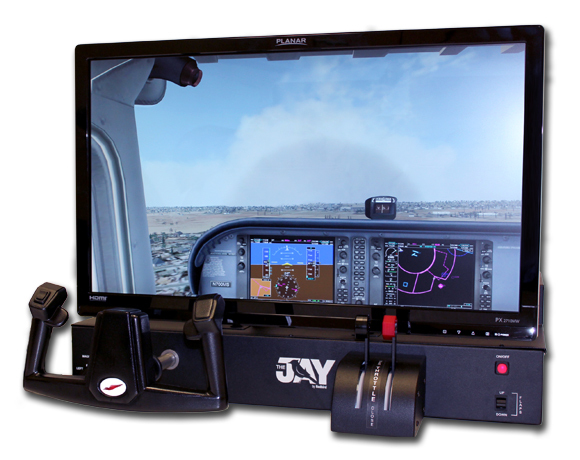 With the Redbird JAY you can keep your skills sharp and your mind in the cockpit even when you can’t make it to the airport. 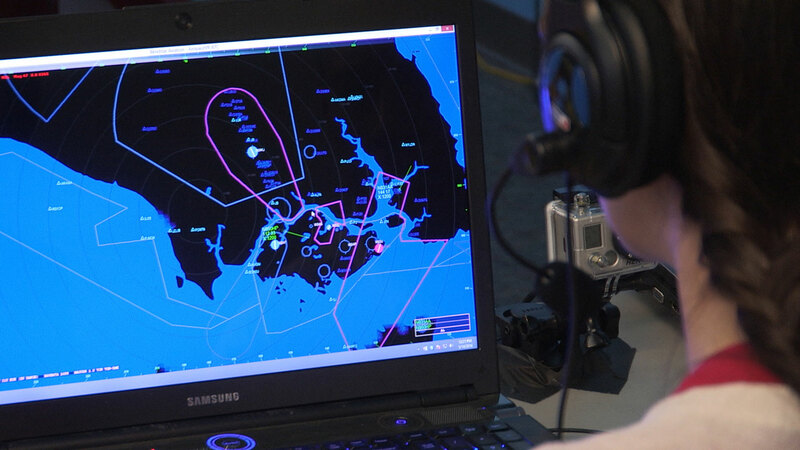 AirspaceVR is a worldwide virtual air traffic control network from Mindstar Aviation that works with Microsoft and Lockheed-Martin flight simulators. But that only scratches the surface of what AirspaceVR can do for you.